Approximately 70 percent of Americans over the age of 65 will need help with their activities of daily living at some point in their golden years. The phrase “long term care” gets thrown around as a way to manage these changes in your healthcare. Most think that long-term care refers only to insurance policies that pay out when you would require a long-term stay in a nursing home. While a long term care insurance policy can be a part of your plans for you or a loved one, you also need to think about long-term care planning. Using a long-term care planning approach means taking into consideration all aspects of your daily life and how you will continue those activities as your health needs change. -Where will you live should you need help maintaining your health? -Can you remain living at home with some home modifications? -Who will help you take care of yourself and your loved ones? – How you will pay for it all? To meet all of your needs, you could pay a significant amount out-of-pocket. However, knowing your options when it comes to long-term care could save you significantly. Options to pay for long term care include purchasing long term care insurance, adding a rider to existing life insurance, opening a health savings account, or applying for Medicaid. Those who are eligible for Medicaid could have all of their healthcare and supportive services coordinated under one roof at no cost with the LIFE Program and continue to live at home. Senior LIFE is a LIFE program provider, which stands for Living Independence For the Elderly. 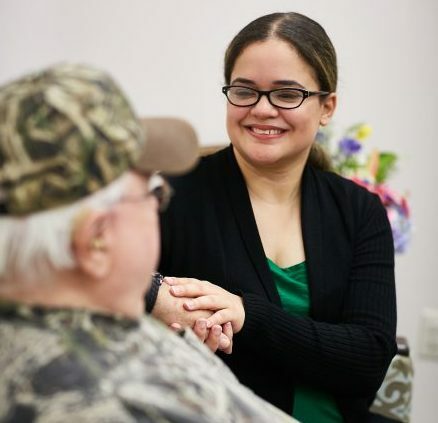 It is a long-term care program that coordinates all of your medical and supportive services and works to keep you out of a nursing home and living at home for as long as possible. For those who qualify, there is no cost for LIFE services. Many seniors don’t realize they are financially eligible for Medicaid. A Senior LIFE outreach specialist will assist you in the application process to see if you qualify for services at no cost. Senior LIFE seamlessly coordinates both Medicare and Medicaid services and customizes a care plan to meet your specific needs. There is one single point of contact and you don’t have to deal with multiple care coordinators or insurance companies. Services range physicians and specialists, nursing care, physical, occupational and speech therapies, personal and home care, medications, meals and nutritional counseling, eye, dental and foot care, durable medical equipment and other medically necessary services. Services are provided at the LIFE Health and Wellness center and in your home. Even if you are reaching your golden years and have yet to start planning for your long-term care, it’s not too late. To find out how Senior LIFE can help you reach your long-term care goals, visit www.seniorlifepa.com or stop by one of our local LIFE Health and Wellness Centers.